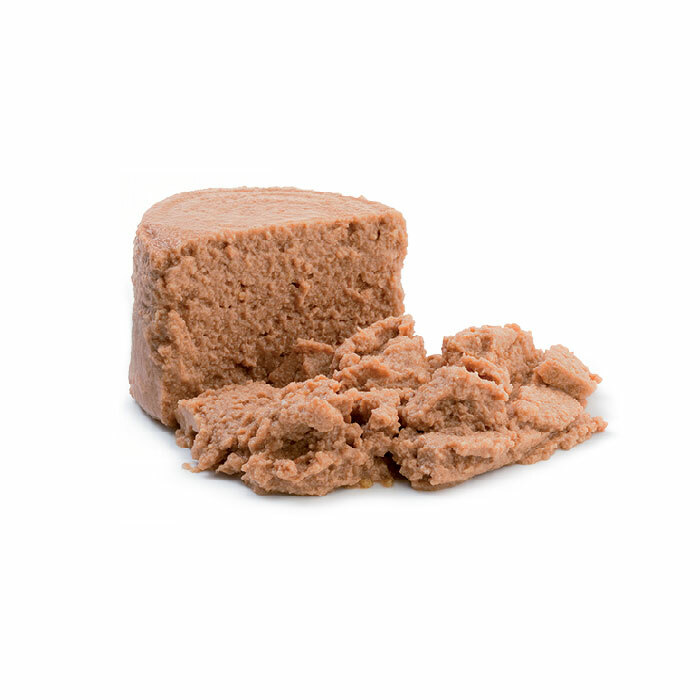 Canine Health Nutrition Adult Light is a wet food for small breed dogs over 10 months old which have a tendency to put on weight. The food has a high fibre and low calorie content. 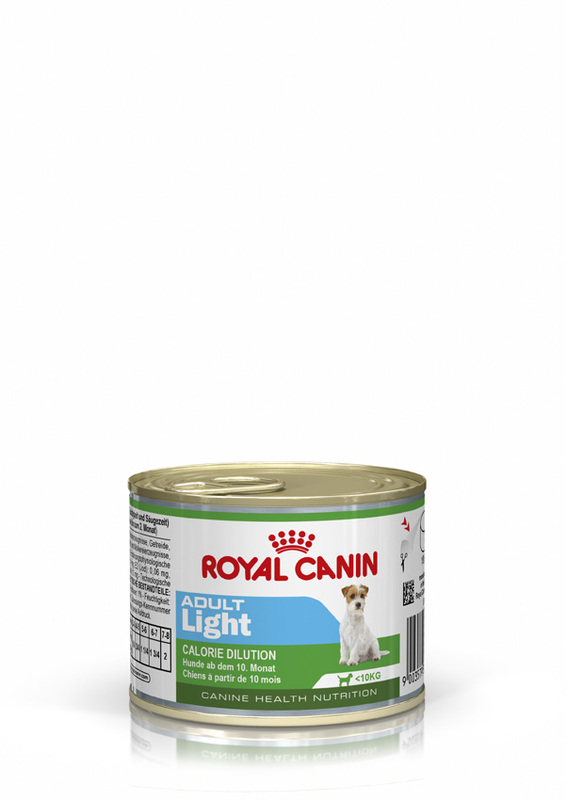 Light has been specially formulated for small breed dogs (up to 10kg - adult weight) with a tendency to put on weight due to a low calorie and high fibre content. Meat and animal derivatives, cereals, derivatives of vegetable origin, minerals. Crude ash: 1.4%. Crude fibre: 2.5%. Crude oil fats: 2.7%. Moisture: 78%. Protein: 9%. Vitamin D3 : 90 UI, E1 (iron) 11 mg, E2 (iodine) 0.2 mg, E4 (Copper) 1.5mg, E5 (Manganese) 3.3 mg, E6 (zinc) 33mg. There are currently no questions for ROYAL CANIN® Canine Health Nutrition Adult Light Wet Dog Food - be the first to ask one!